My book refers on various occasions to the Pre-Raphaelites. In it, I describe a home interior as being Pre-Raphaelite and I mention Pre-Raphaelite paintings. It’s important to note that ten years ago I knew nothing about the Pre-Raphaelites. With that in mind, I’m trying to give a general idea of what the group entailed. Now, I understand that art and art museums can be off-putting. Most art museums seem to have a patron base that’s elitist and rich. While many museums have outreach programs that strive to corral a larger patron base — many people, myself included, often feel slightly hesitant about entering a museum. Part of this is due to my background and part of it is due to the fact that I always expect to get kicked out for doing something wrong. I’ve become more accustomed to crossing art museum thresholds but I can certainly understand why some people view art museums as pretentious and a home away from home for the rich. The Pre-Raphaelites were a group of English artists who formed a “brotherhood” around 1850. There were seven members originally. * They called themselves the Pre-Raphaelites because they rejected what academics, at the time, thought was the ideal — renaissance painters like Raphael — and instead sought, in their own work, the purity of medieval painting. Hence, their name the Pre-Raphaelites. While the members of the group came and went for various reasons some members of the group now belong to the pantheon of 19th century artists. John Everett Millais is one of those artists. (1829-1896). Millais was one of the founding members of the PRB but left the group to become a society painter. This change in artistic direction caused him to be pursued by members of Victorian society wishing to have their portraits done and increased his earnings by thousands of pounds a year. 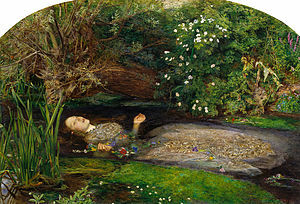 It was a financial windfall for Millais but clearly a loss to the PRB. Ford Madox Brown was not an original member of the PRB but he’s considered part of the brotherhood today. Ford Madox Brown (1821-1893). He was born in Calais, went to school in Antwerp and married at twenty. Unfortunately, within five years his wife was dead (in the mid 1840s). The two were on their way home from Rome at the time and this prompted Brown to head for England and settle in London. London is where he met Rossetti. Dante Gabriel Rossetti has a swagger in this photo and he’s sitting down. 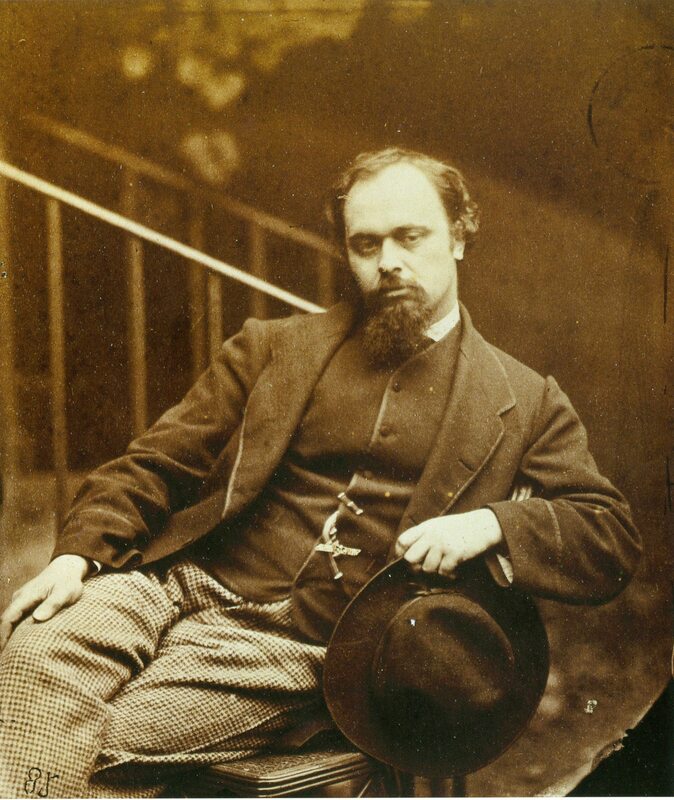 Lewis Carroll took this photograph of Dante Gabriel Rossetti (1828-1882). 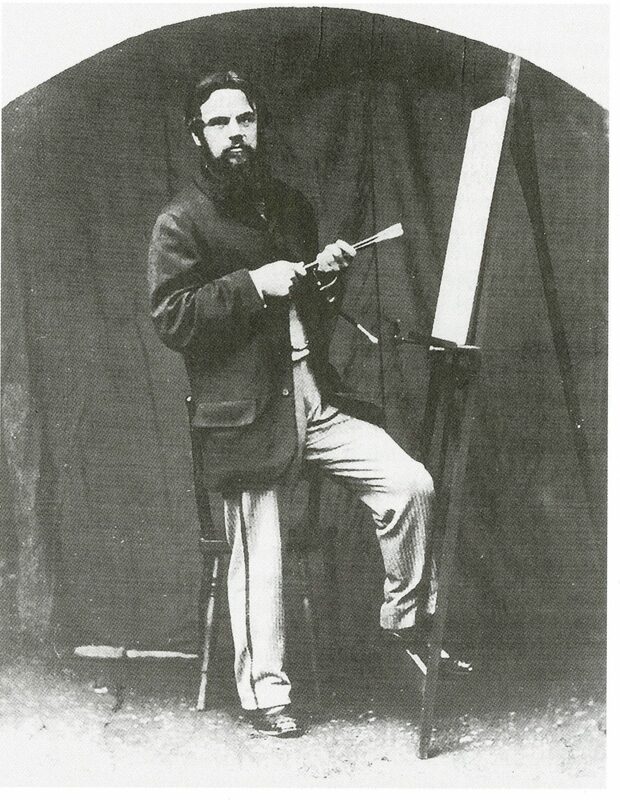 In 1848 Rossetti sought out Ford Madox Brown and asked for private art lessons. At the time, Rossetti was a full time student at London’s Royal Academy having begun his studies in 1845. Three years later he had become bored with studying 16th century Italian painting. Rossetti was searching for ways to unleash his artistic expression and went to Brown for guidance. It’s a puzzle but it can be decoded. Beata Beatrix = Dante’s Beatrice Portinari. The red dove? The messenger of death. The white poppy? The drug laudanum. The red dress & green cloak? The paradise wardrobe Beatrice wears in Dante’s Divine Comedy. William Holman Hunt is another Pre-Raphealite. 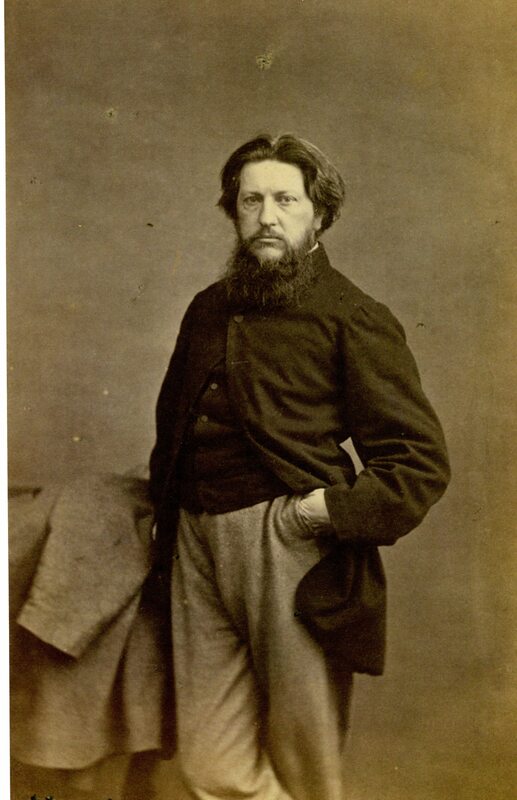 Holman Hunt (1827-1910) This is also a Lewis Carroll photograph. This is a young Hunt. He hasn’t yet turned into the strange-looking older man with the long, unruly, white beard and foreign legion hat with long flaps along the sides and back. Some critics find Hunt’s paintings “unattractive.” Occasionally, I can understand why this assertion is made but for the most part I find those declarations to be incorrect. I took this photograph on my porch and you can see part of my reflection in the image. 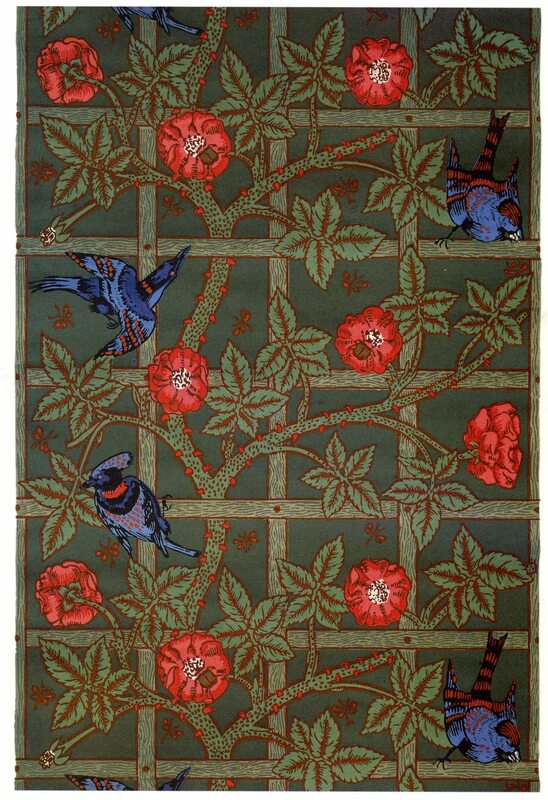 William Morris wasn’t a founding member of the Pre-Raphaelites but he is very closely associated with them now. 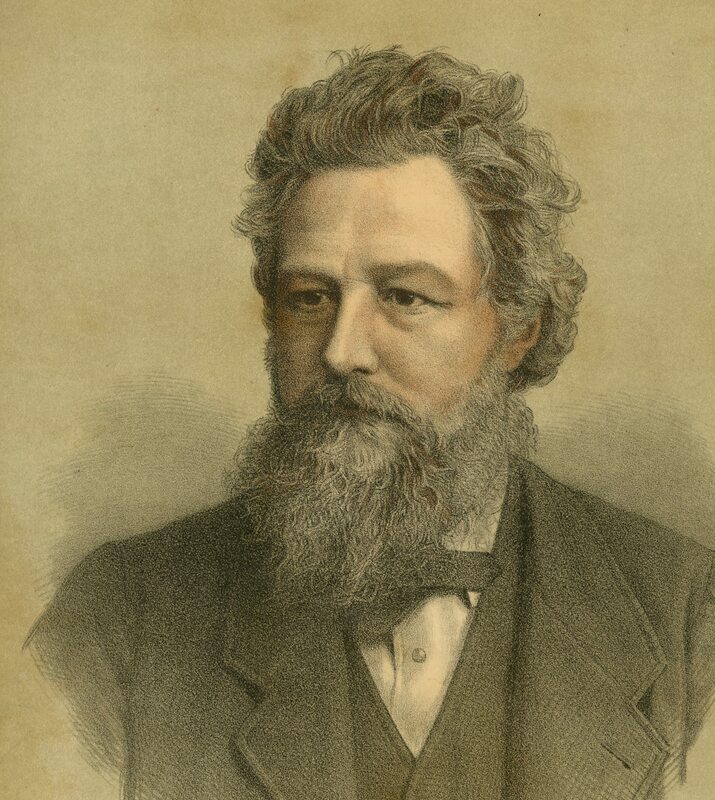 William Morris (1834-1896). 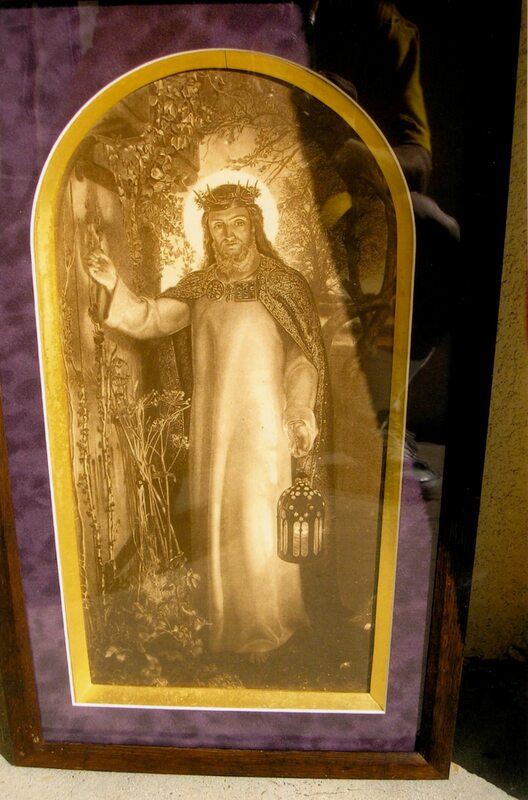 I found this image at an antique store in Burbank, CA. It was 50 cents and it looks like it came out of a 19th century book. William Morris wasn’t the best painter. His paintings seem amateurish to me but he did possess a design aesthetic which served him well over the years. He designed or oversaw the production of textiles, stained glass windows, wallpaper, upholstery and tiles. Architecture, the preservation of historic buildings, and interior design were also important to him. 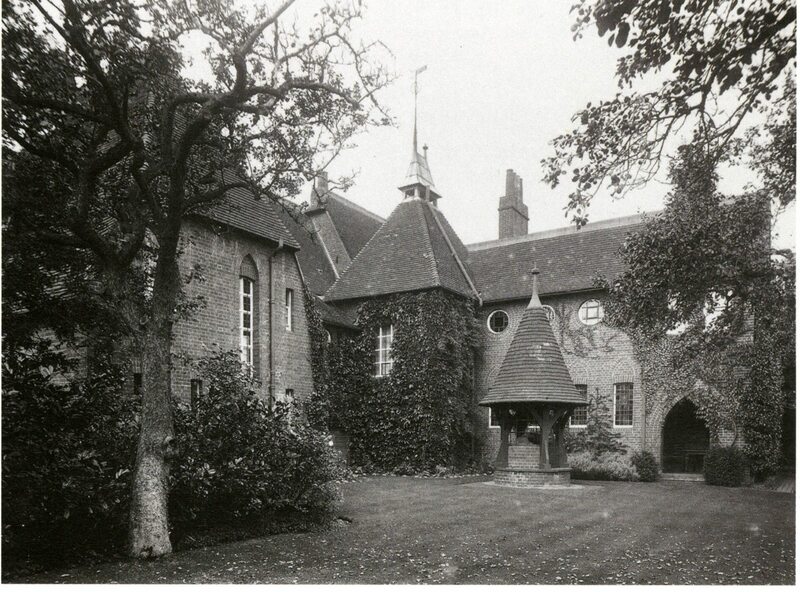 In collaboration with architect Philip Webb, Red House was conceived and built. Morris only lived at Red House for approximately five years but it still stands today and can be toured. For the last 18 years of his life William Morris lived at Kelmscott House. 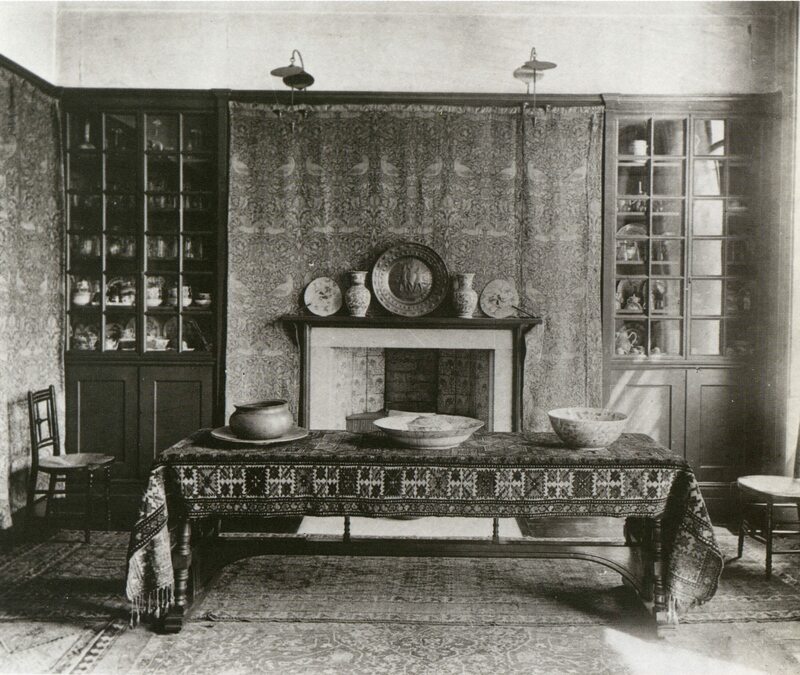 This is an interior photo from the end of the 19th century. Kelmscott House still stands but is privately owned and not open to the public. In my book I mention that Joaquin’s bedroom is wallpapered in a William Morris wallpaper pattern called Trellis. This is the pattern. 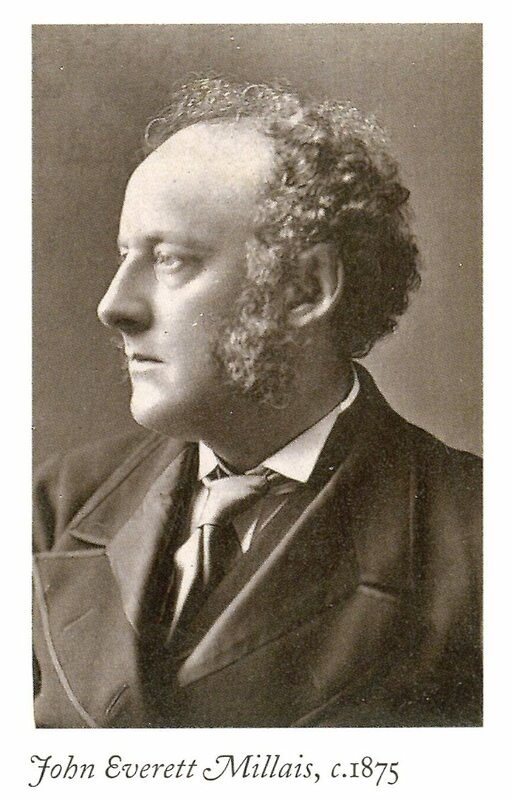 Philip Webb, Morris’ friend, designed the blue birds. Simeon Solomon was there at the formation of the PRB but he didn’t stay long. Note: It’s not Simon. It’s Sim-e-on. Like William Randolph Hearst’s Julia Morgan designed castle, San Simeon. Simeon Solomon. 1840-1905. According to Love Revealed Solomon was hanging around in the vicinity of the original members of the PRB but due to his arrest on moral’s charges in 1871 he was cast out from the group, his friends turned their backs on him and society wanted nothing more to do with him. At one point, in 1880, he was taken to the hospital because he was found wandering London’s winter streets — shoeless. In May of 1905 he collapsed in the street. He was quickly taken to a “workhouse” to recover. On August 14th he died alone. He was friendless and lived in complete poverty. Which, of course, means he’s my favorite Pre-Raphaelite. I had never seen any of Solomon’s paintings until I found and looked through the book Love Revealed. He’s just as good as anyone else in the PRB. He’s just not as well known. Below is one of his paintings. The Mystery of Faith (1870). This is a watercolor on paper. That’s the holy eucharist in that strange container. For some reason it looks like the eucharist is about to be launched into orbit. *The seven original Pre-Raphaelite artists included: Millais, Hunt, Dante Gabriel Rossetti (all mentioned above) along with William Michael Rossetti (Dante’s brother), Frederic George Stephens, John Collinson and Thomas Woolner. Prominent members who would be associated with the Pre-Raphaelites, over the years, include: Edward Coley Burne-Jones, Arthur Hughes, Frederick Sandys, John Ruskin, Evelyn De Morgan, Marie Spartali Stillman, Eleanor Fortescue Brickdale. Barnes, R. (1998). The Pre-Raphaelites and their World. London: Tate Gallery Publishing. Barringer, T. (2012). Reading the Pre-Raphaelites. New Haven: Yale University Press. Bennett, M. (2010). 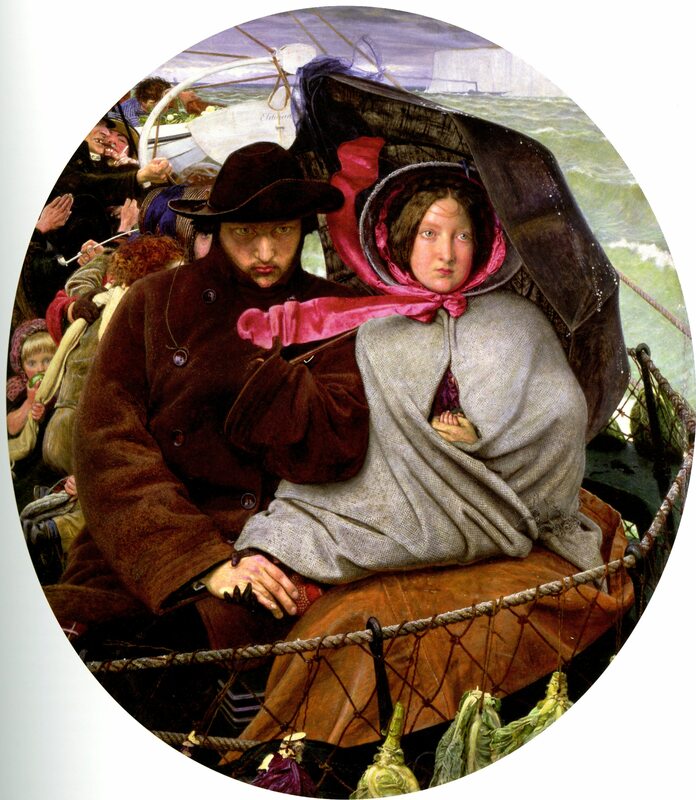 Ford Madox Brown: A Catalogue Raisonne. New Haven: Yale University Press. Birchall, H. (2010). Pre-Raphaelites. Koln: Taschen. Bullen, J.B. (2011). 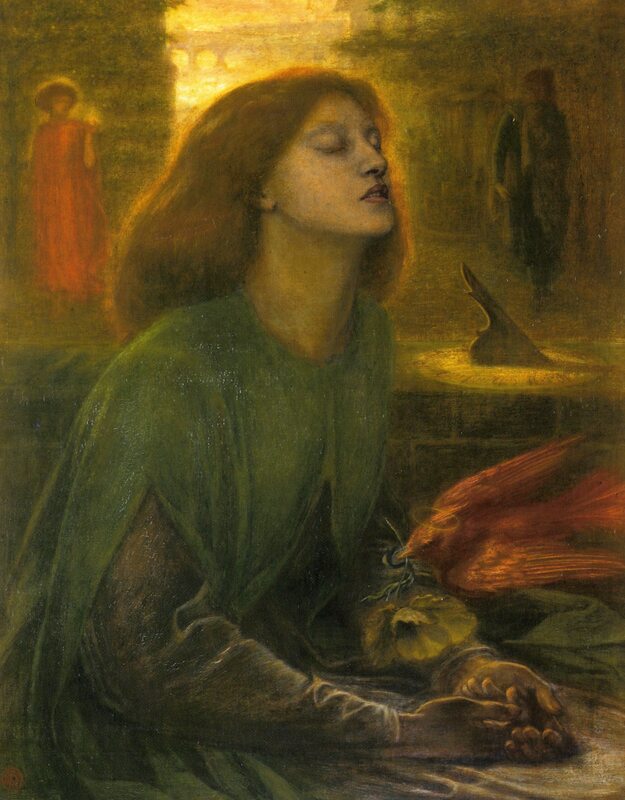 Rossetti: Painter & Poet. London: Frances Lincoln Limited. Cruise, C. (2005). 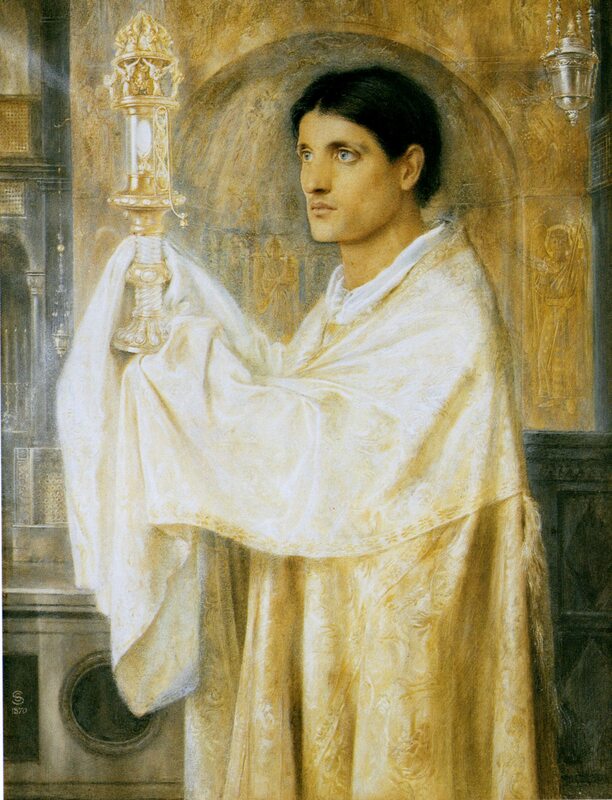 Love Revealed; Simeon Solomon and the Pre-Raphaelites. London: Merrell. Lochnan, K. & Jacobi, C. (Eds.). (2008). 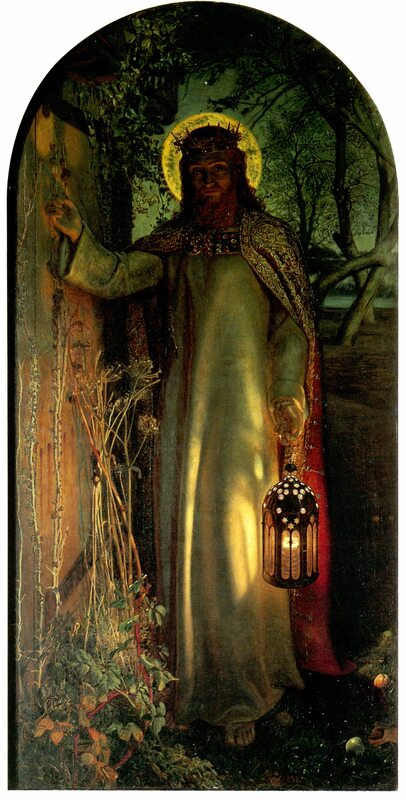 Holman Hunt and the Pre-Raphaelite Vision. Toronto: Art Gallery of Ontario. Maas, J. (1984). The Victorian Art World in Photographs. New York: Universe Books. Marsh, J. & Nunn, P. G. (1998). Pre-Raphaelite Women Artists. London: Thames and Hudson. Menz, C. (2002). Morris & Co. Adelaide: Art Gallery of South Australia. N.A. (2003). Pre-Raphaelite and Other Masters: The Andrew Lloyd Webber Collection. London: Royal Academy of Arts. Nunn, P.G. (2012). A Pre-Raphaelite Journey: The Art of Eleanor Fortescue-Brickdale. Liverpool: Liverpool University Library. Reynolds, S. (1984). The Vision of Simeon Solomon. Glos. : Catalpa Press. Rosenfeld, J. (2012). John Everett Millais. London: Phaidon. Todd, P. (2001). Pre-Raphaelites at Home. New York: Watson-Guptill Publications. Treuherz, J. (2010). Ford Madox Brown: Pre-Raphaelite Pioneer. London: Philip Wilson Publishers. Treuherz, J., Prettejohn, E. & Becker, E. (2003). 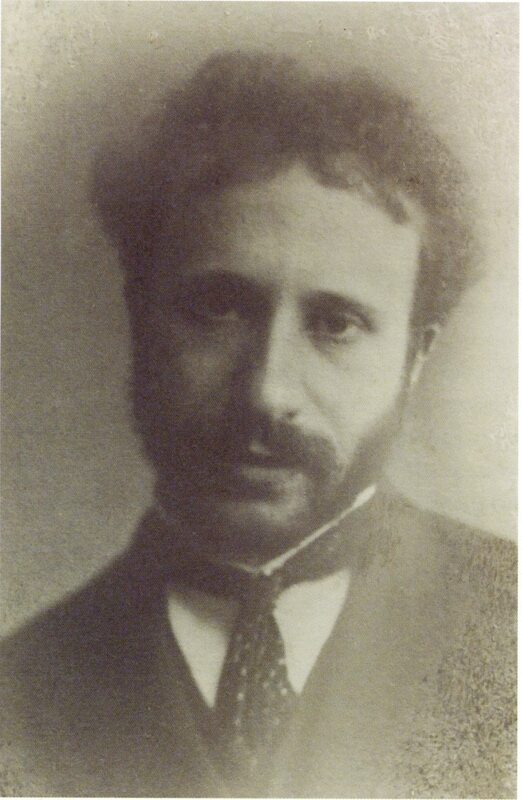 Dante Gabriel Rossetti. London: Thames & Hudson.